Dalton proposed a theory of Indivisibility of Atom, during 1808. 1911, Rutherford proved that the atoms consist of one more particle, whom he named Proton because it was positively charged. During 1932, James Chadwick proved the presence of a Neutron in the atom. Because it had no charge, it was named as Neutron. 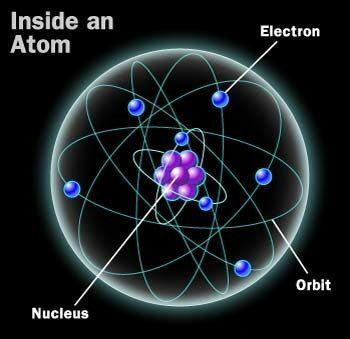 But, Bhagavata Purana (written around 3100 BCE) describes atom as Paramanu and each Anu (molecule) consisting of atleast two Paramanu. Ancient literature like Lakshmi Tantra also suggests that Paramatma, the Supersoul in the heart of everyone through whom all Avatars come to material universe, is lying on that Milk ocean (Milky Way/Galaxy). So Paramatma is in every atom and heart of all souls in 8400000 kinds(species) of material bodies, with two souls in each heart called jivaatma and Paramatma.